Moeller | UK Electrical Distributors – E. Preston (Electrical) Ltd.
Moeller is a sub-brand of Eaton, one the world’s largest power management companies. The company is a leading supplier of components for commercial and residential building applications, and industrial controls for industrial equipment applications. 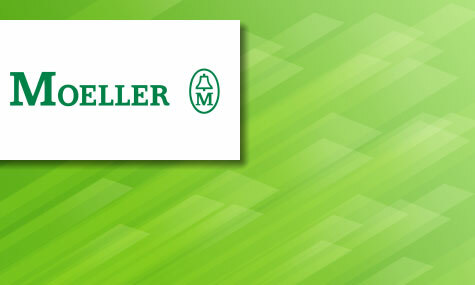 At the end of 2007 the Moeller Group had sales of €1.02 billion. They were acquired by Eaton in April 2008, solidifying their position as a world leading components manufacturer. E. Preston Electrical Ltd is an official distributor for Moeller electrical products. Visit the online store to browse thousands of components.